PALMDALE – A woman died Friday night after she was hit by a vehicle in Palmdale, and authorities are seeking the public’s help to find the hit-and-run driver. Tammi Johnson, 40, of Acton was pronounced dead at the scene of the collision, which occurred around 11:45 p.m. Friday, July 20, on Sierra Highway, south of Vincent View Road, authorities said. Johnson was walking southbound on Sierra Highway when she was struck from behind, according to the California Highway Patrol. The hit-and-run vehicle was described as silver, possibly a Lexus NX SUV that likely sustained front- and right-side damage, including a missing side-view mirror and shattered windshield. After Johnson was fatally struck by that motorist, her body was struck again by a 2006 Volvo S40, whose driver was located nearby, officials said. Anyone with information on this collision is encouraged to contact the CHP’s Antelope Valley office at 661-948-8541. 29 comments for "Woman killed in hit-and-run crash in Palmdale"
So far someone on a bike, people in an SUV, and somebody walking have died on Sierra Highway. Sierra Highway has so much space that it needs a separated bike path all the way from Rosamond to Acton. The bike path should be wide enough so the (few) pedestrians, like Tammi, can walk on it without being in the way of bikes and completely separated from the roadway. Sierra Highway also needs a divider between each direction of traffic so there are no head on collisions. Even better are grade separation of bikes and people at intersections, especially with that railway next to the highway. Basically, every mode and direction of traffic should not be put in each other’s way. My sincerest condolences to your entire family my heart aches for you. My guess is the Vincent Grade Saloon will be named in. lawsuit for over-serving this lady and then allowing her to walk out the door alone. Anyone have any idea what the toxicology report on the deceased was? You’d have to be a little off-balance to attempt to WALK along Sierra Highway after dark. She probably had a fight with her old man and decided to leave not knowing how dangerous that particular stretch of road is. The County needs to provide pedestrian and cyclist lanes ALL THE WAY FROM South Acton to PEARBLOSSOM. There’s a reason for all of the colorful flowers alongside the road. I hope this is the Amber I know eloquently standing up against those foolish persons who never knew the Tammi we knew. You two were the joy of our lives then and you, Amber, are a remarkable woman. So strong and Tammi so lovable. Mine and my wife’s hearts are broken. I never had the honor to meet Tammi Johnson, but my heart does pour out for her family. Having your life taken away from you because of a hit and run driver is tragic in itself. Six months ago, my son and his long term girlfriend were on their way home and they were hit head on by a person on a suspended license, no insurance, and was on drugs at the time of the accident. Leslie Fleming, like Tammi, had her life taken away no fault of their own. The drivers that cause these type of accidents, should not be given another opportunity to hurt anyone else. Forgiveness is a good thing, but one should see the consequences of their choices. My heart, goes out to the family of Tammi Johnson and I hope people will work towards helping this family closure. In our situation, their have been delays, but finally a prelimary hearing so we can get this past us. We feel the Johnson families pain, because it isn’t only the family that suffers, but it is the extended families, friends and the community. We will continue to pray for your healing. This comment thread is INSANE. A person died. PERIOD. The police are investigating and we all have the right to be innocent until proven guilty in a court of law and y’all just going on and indicting entire [removed] races. Jesus. I do not see how all this is helping in any way; it is a great tragedy that this woman was hit & killed by an inconsiderate person who had no concern for human life, or for anyone other than themselves. I am sorry that this woman left behind a loving family that will have a gaping hole in it, especially during holidays and special occasions, when families gather. Now to the other people who apparently have forgotten any history they may have learned; CA, NV, AZ,NM,UT, CO & WY were part of Mexico before they were ever a part of the United States. The United States acquired this area in a treaty after the Mexican- American War. All of you are ignorant and ought to be ashamed of yourselves!!! All of your posts disgust me!! Thank you to those who pointed out the fact that a life was lost! She was amazing and happened to be my sweet friend and her beautiful children will never get to hug their mother again! That piece of scum left my poor friend on the side of the road like a piece of trash they threw out their window!!! And now you with no regard to anyone elses feelings rant on and on about something so freaking irrelevant!! Grow up and get a life!!! Shame on you!!! Really AV times???? You could post my comments? Shame on you too!!!! You all are disgusting and need to get a life! She happened to be a amazing friend of mine and you all ought to be ashamed of yourselves! My sweet friend is gone forever and her beautiful children will never get to hug their mother again and all you can do is make it a issue of race!!!!! This disgusting piece of [removed] left this amazing woman on the side of the road like she was trash! SHAME ON ALL YOU YOU HEARTLESS ASSHOLES!!!! What the hell is wrong with you all? This is my sister! This isn’t about race this is about the loss of her life! The fact that she was taken from my brother and their children in a senseless tragedy and that the person responsible is out there walking free! I don’t know why people are blaming Mexicans I see all kinds of people driving like maniacs and believe me they are not all Mexicans there for it don’t matter what color you are none of them know how to drive the legal way so stop pointing fingers and being racist . I too am waiting anxiously when all these racist bigots will lie their asses off pretending they loved immigrants and had supported them all along! A bunch of hypocrites! How unAmerican can you be all while you still scream MAGA… How pathetic! This shouldn’t be about racism! A wonderful, loving mother of four was killed by a hit-and-run driver. Period! We need to find the PERSON who has done this horrible thing! Because only Latinos are bad drivers? Not to be racist myself, but how many Latinos drive a Lexus? Everything isn’t about immigration, you know. You old timers really need to chill out and croak already. Ah! 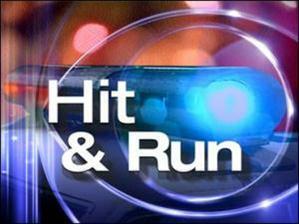 Another hit-‘n-run Mexican! How many does that make this week? cr, how Can yoU be certaiN That the hit and run driver was a mexican? there has been a recent influx of hicks and hillbillies from all over the country moving into California that don’t know how to drive, the majority moved here trying to tap into the welfare system…maybe it was one of them, or the many section 8 parasites that live in the tract hoUses behind the walmart? maybe it was your uNclepa? I lived in Silverlake for over 20 years, and I had to move up to This poophole called the av, not by choice..the few times I have been to that swapmeet, i cringe when i see all these overweight degenerates…I sometimes have to pinch myself because I keep on thinking im in some trailerpark back in arkansas or some other poophole state…..what were we talking about? Caucasian slobs always going to have some idiotic thing to say . Does it make you feel like a big person picking on the less fortunate ?! Mexican, Mexican it’s always the Mexicans !!! I see blacks, Asians, Arabs, other latinos acting foolish all the time. Leave the hardworking Mexicans alone . I work in an environment where I see all kinds of races at their worst. You know what I see a lot of? Slobbish white people drunk/ high off their asses, dirty, smelling of bo and booze. And they’re always charity cases just coming in for a bed and something to eat all on the taxpayers dime. So get off you high horse and get back into reality . We’re all the same . Highs and lows don’t discriminate. Sick in the head ? You posted a note to yourself? And gave it false inuendo. How ignorant to post. Amazing how bold you cloaked AV keyboard warriors are. Stay inside and spew your hate and bigotry, the sign of a true American. Coward! Someone lost their life and you take any opportunity to place blame on a race because you are miserable. You will depend on someone who is different one day, and boy will that be funny! AMEN Amber, couldn’t have said it better myself!